Today we are going to discuss about scheduling a script using crontab guru editor, people who are working in linux OS they aware of crontab. Setting up and viewing the crontab list is easy for the expert or IT infrastructure team who work frequently on it. For the beginners or developers it’s really the hard job to remember the crontab list schedule time. For example if I want to schedule the cronjob for every 1 hour and 5 minutes I need to run for the help or need to confirm the process with the expert or infrastructure team. 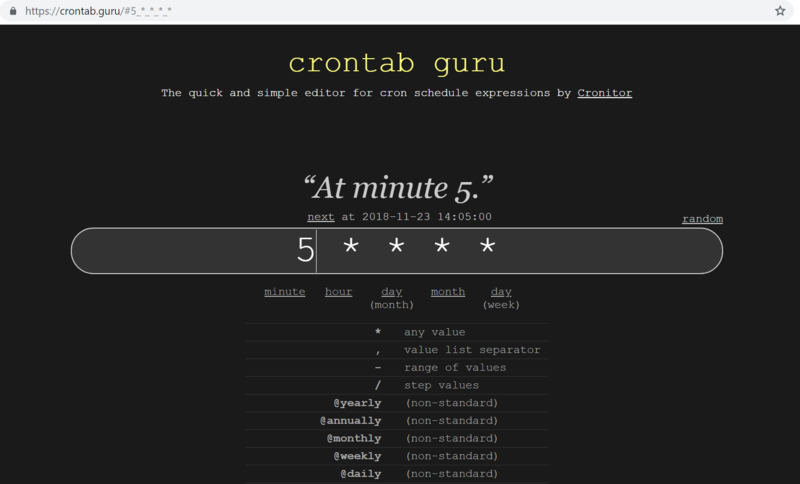 To overcome this you can check CronTab Guru Editor online they show cronjob schedule time while editing the time for your cronjob, also it will provide the information about the next cronjob start time. I have been using this CronTab Guru Editor online whenever I used to set cronjob and view cronjob list its help me a lot. So I have interested to share on this blog. Please share your valuable feedback and suggestion.